Surely the quickest way to get up and running is to download a complete example in a single zipped folder (ca 360 kB ) that includes the ORCHESTRA executable, the object database, a thermodynamic database and input files defining a simple example system. 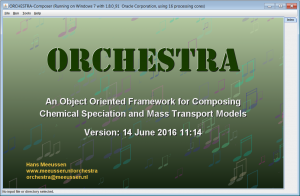 ORCHESTRA can simply be started by clicking the orchestra2019.jar file within the folder. You just need a computer with Java 8 installed! 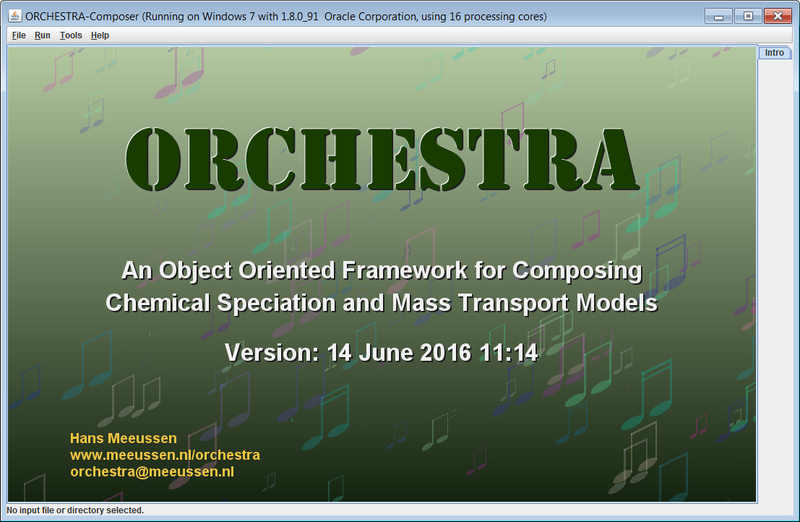 The latest version of the ORCHESTRA2019.jar file can be downloaded separately here. This executable runs on a Windows/Mac OSX/ Linux machine that has Java 8 installed). The latest (2019) objects file (text) file can be downloaded here.